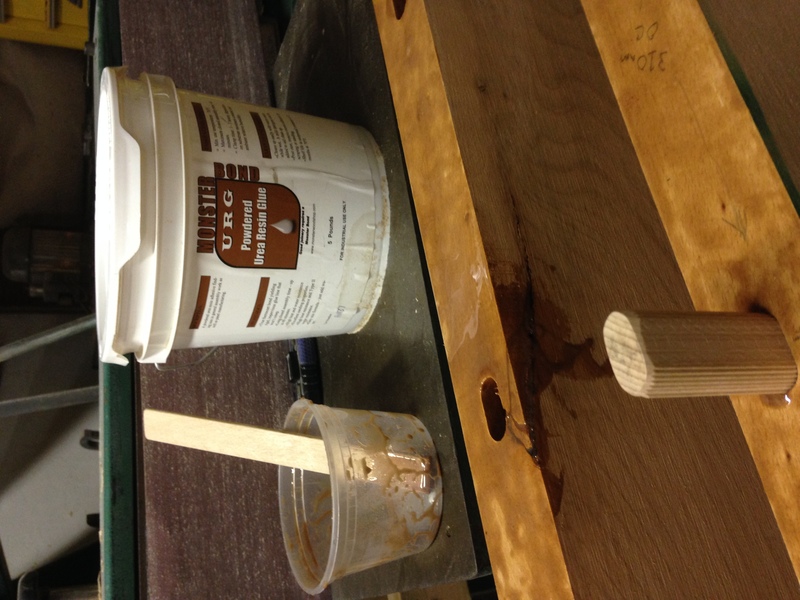 We've been asked to fabricate a solid 3" thickness walnut countertop. I'm thinking of using a "panelite" material for a core. (Basically a torsion box) with 1/8" solid skins. Adhesive would be titebond III or epoxy. 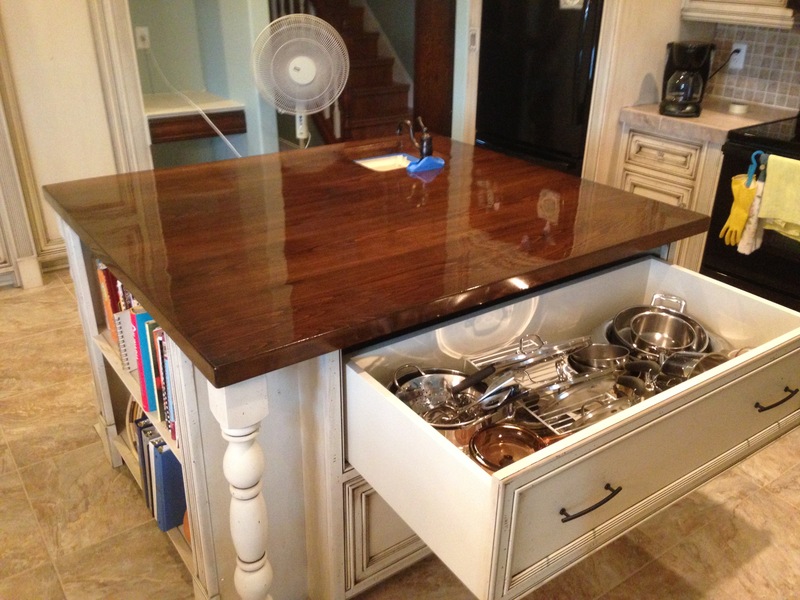 The counter is 10' long so it seems a bit much (and possibly risky) to use all solid material. Bad idea. We have made thes by double laminating the edges for 6" to give the effect of 3" thick. you have to build the end grain to match at the short end of the rectangular butcher block. Top layer is 1.5" thick. Use additional blocks underneath as supports. I would not be surprised to see a bit of crowning across the width and also a major crack develop, especially if a dishwasher is underneath or near a sink. Risky idea. I think we may use the option you suggest. I've used that method before and it works well. There's a bit of client education needed, of course, as they expect 3" thickness throughout. A torsion type construction has the ability to resist movement and keep weight within reasonable bounds. 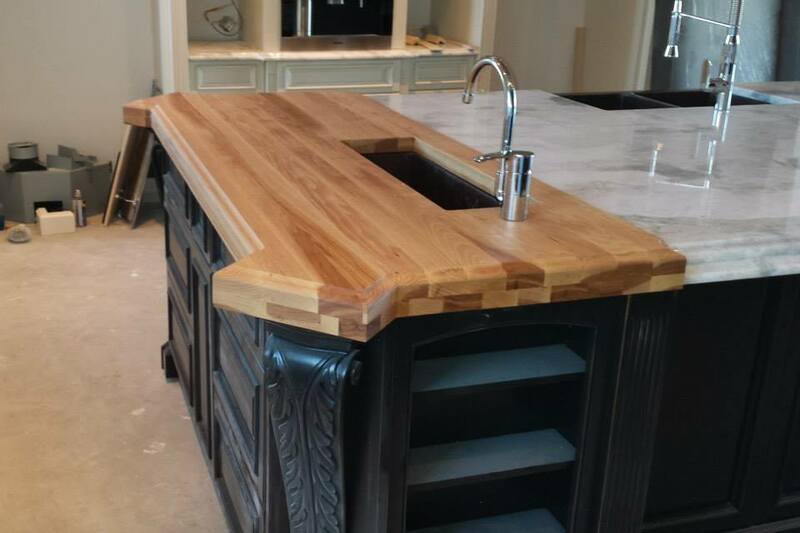 "End grain" the ends and add long grain along the sides and then 1/8" Walnut top and bottom. The drawback is the the gluelines at the ends will give away that it is not solid, but no one other than woodworkers may care. Dishwashers and other heat generating appliances should not affect it, either. It is always a good idea to line the underside near such appliances with heavy grade aluminum foil. A 3" top top that is made of 8/4 x 3"+ plies will weigh a lot (over 200# if it is 24" wide), but be fast and solid. Plastic resin glue to prevent yellow glue squeeze out down the road. The width of each board will allow you to eat up all the lower grade walnut, since you just have to present a good edge to the top. A 1-1/2" thick top with build up will be more time consuming - tedious in fact - but take less lumber - it will be a wash. Again the gluelines at the end grain will give it away, if that matters. Listen to Gene. Don't do it. The solid will crack, warp or both from being constrained by the torsion box. here is a pic. we did this in hickory so there is a lot of colour variation but the client loved it. I guess if you have to go the solid route, educate the client verbally, in writing, with lots of legalese. If "rustic" is acceptable down the road, they may be happy, If not, lots of luck. I'd bet Gene is right. 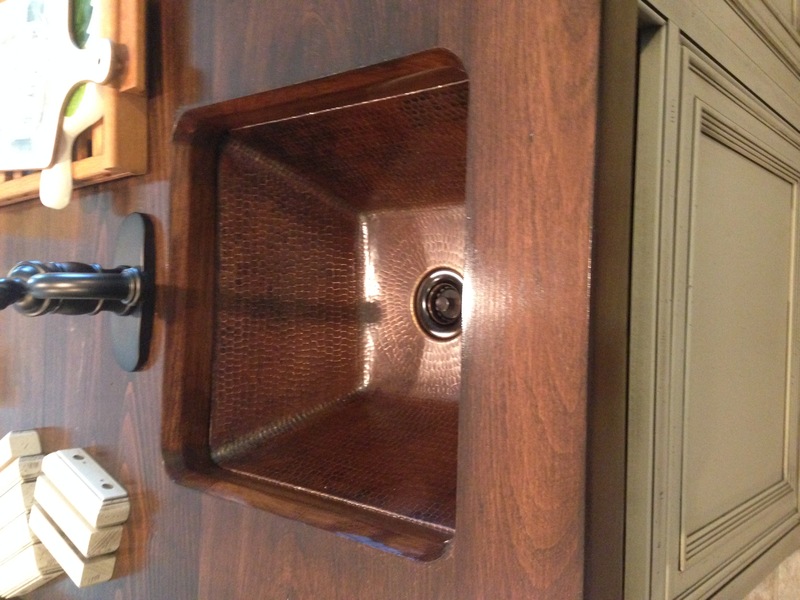 Here is an image of a solid 4" thick Wenge top that is over 10' long. 8/4 flat sawn Wenge was ripped and turned for the thickness - same throughout. We glued it with epoxy (wetting out both pieces), and had a few small cracks to touch up after finish, before delivery. Easy to mix up epoxy and some sander dust and fill, then scrape flat when cured. Put some good masking tape either side of the crack for easy clean-up and to avoid filling the grain with glue. 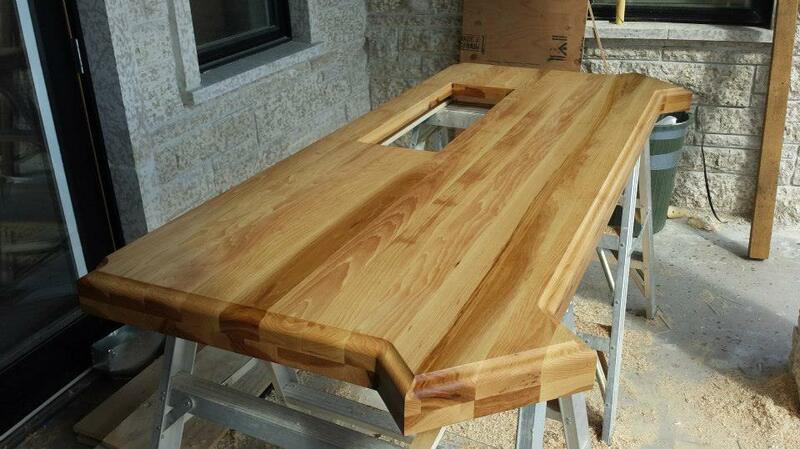 We also do tops as torsion boxes on stable cores and so we can do big, wide miters, curves, etc. Balanced, with 1/8" to 3/16" on both sides. Never a problem, except for those same damn hairline cracks. You just have to find and repair before delivery. Neat looking. Did you hire a piano mover? I like Wenge but always seem to get slivers from it. How did you put that profile on the edge? 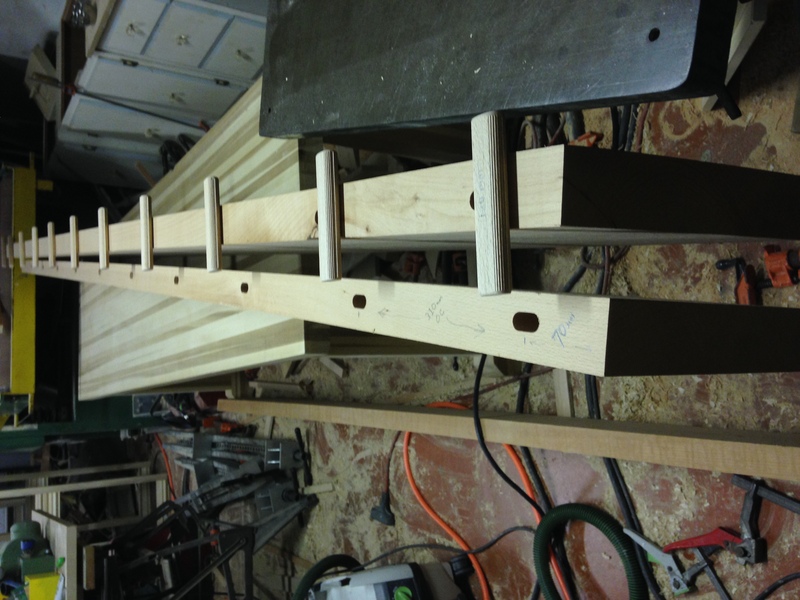 The edge is done with a router and the largest round over and cove bits available. The cove bit requires a long shank. The inside corners are carved. Yes, the thing required four people to move it. And yes. Wenge will give you splinters just by looking at it. Once it is sanded and finished, it looks great. According to the people I asked about them, they are a real ball-ache, becuase you have to oil them frequently and they get cut/chipped easily. No-one I spoke to thought they were a good idea after buying them. 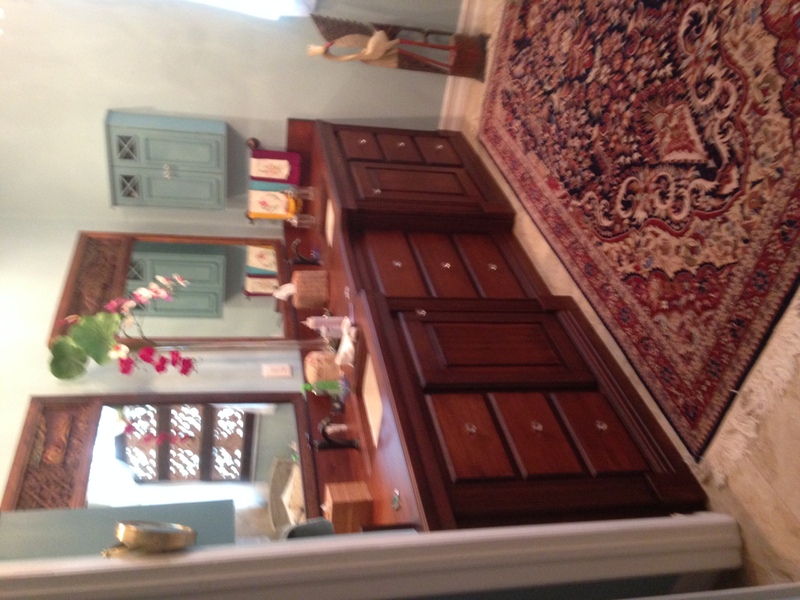 There are apparently other alternatives besides granite and wood - different types of stone etc. 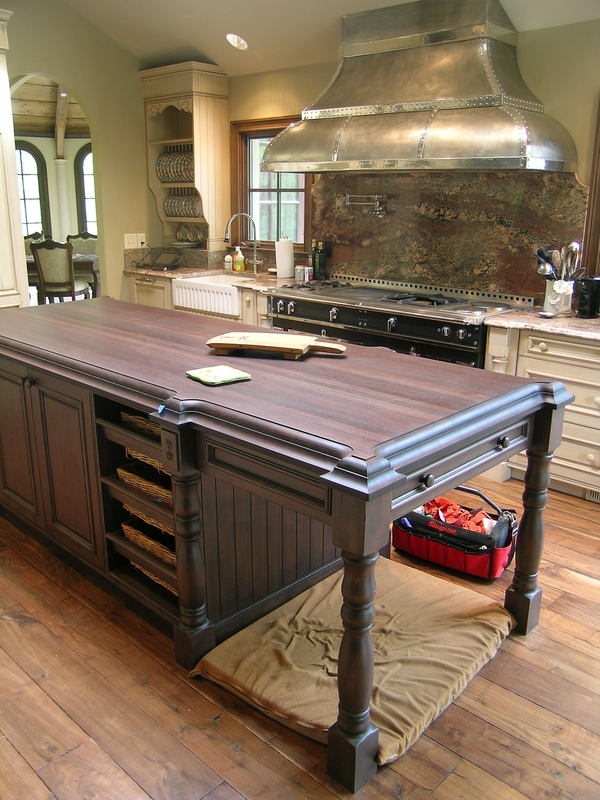 My tops & the beautiful solid wood tops above are professionally made pieces. do you have industrial clamp rack or press with sufficient capacity? 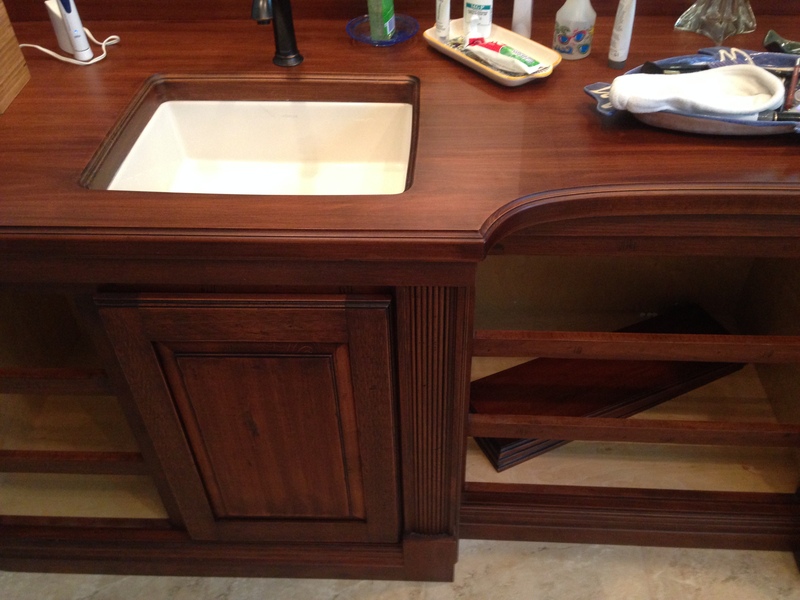 here's a vanity top with undermount Kohler Verticyl lavs, species is (face grain) German Beech 1-7/8" finished thickness, finish is dye stain/wiping stain/glaze/Conversion Varnish (cat'd sesler between steps). assembled in sections in Quick clamp rack, then final assessment in an old, manual 12ft Black Bros case clamp.